Dolly Parton’s Smoky Mountain Adventures in Pigeon Forge, TN offers family adventure fit for kids of all ages! 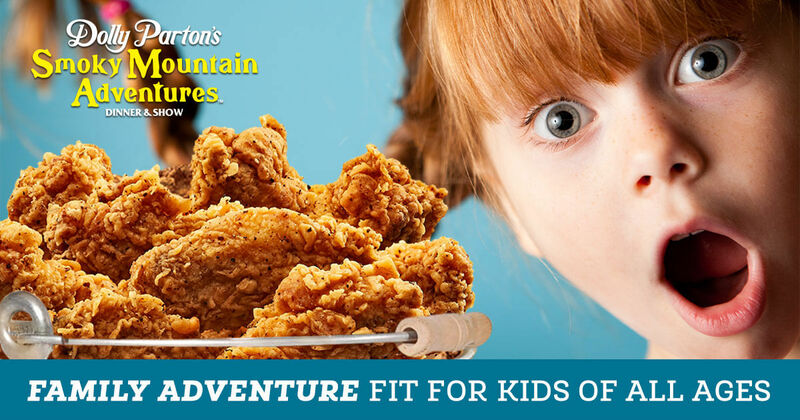 Dolly’s new dinner attraction in Pigeon Forge, TN invites families to return to the Smokies for exciting family adventure. When was the last time you sat down for a wholesome family meal together? When was the last time you shared an exciting adventure together as a family? Dolly Parton’s Smoky Mountain Adventures has both. Now for a limited time, get a special offer on child tickets when you book online! 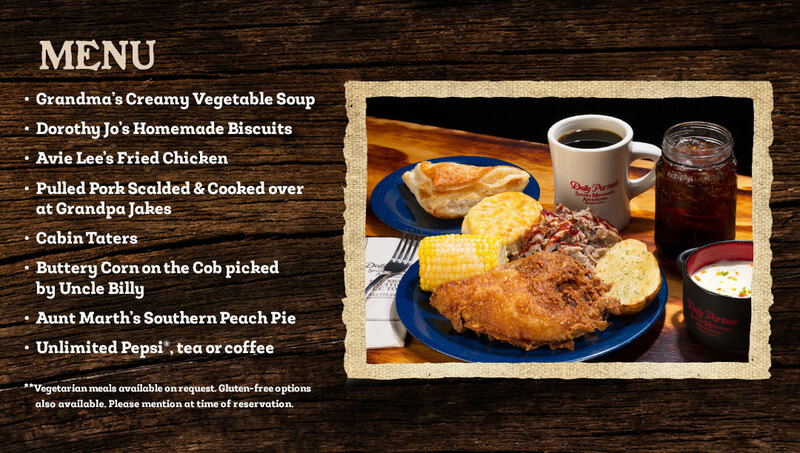 At Dolly Parton’s Smoky Mountain Adventures each guest receives Avie Lee’s mouthwatering Sunday Dinner. It has delicious dishes straight from the Parton’s own family cookbook. Therefore, you don’t want to miss out on this fabulous feast. Take a look at the menu! You’ll be on the edge of your seat as the Partons and Owens take you on their whirlwind family adventure. Travel back to 1939 when their two families became one. It’s an adventure complete with jaw-dropping stunts, incredible acrobatic feats and dramatic aerial acts high above the audience. Adults and kids agree it’s the MUST-SEE family adventure in Pigeon Forge! Now through July 16, 2017, plan your family adventure with Dolly Parton’s Smoky Mountain Adventures in Pigeon Forge, TN. Get $3 Off child tickets* with a special coupon code. *Cannot combine this offer with any other Smoky Mountain Adventures offers. Only valid on online reservations. Not valid on prior purchases. ©2017 Dolly Parton’s Smoky Mountain Adventures.